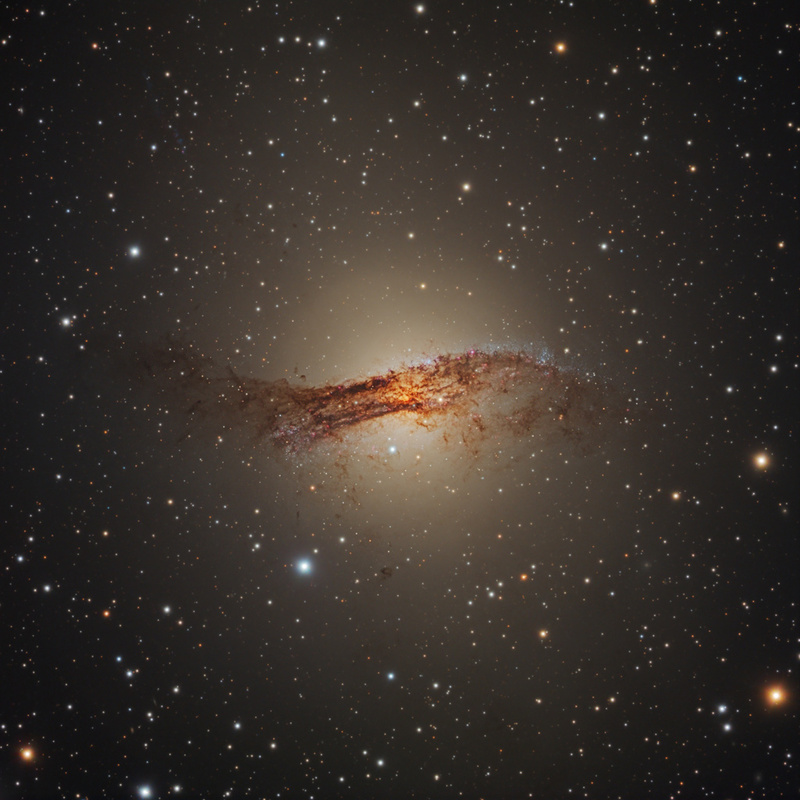 Only 11 million light-years away, Centaurus A is the closest active galaxy to planet Earth. Spanning over 60,000 light-years, the peculiar elliptical galaxy also known as NGC 5128, is featured in this sharp telescopic view. Centaurus A is apparently the result of a collision of two otherwise normal galaxies resulting in a fantastic jumble of star clusters and imposing dark dust lanes. Near the galaxy’s center, left over cosmic debris is steadily being consumed by a central black hole with a billion times the mass of the Sun. As in other active galaxies, that process likely generates the radio, X-ray, and gamma-ray energy radiated by Centaurus A. Posted on Thursday, 12 July 2018 by VGC	This entry was posted in ifttt-photograph and tagged IFTTT, NASA. Bookmark the permalink.